On June 20, 2013, news outlets reported that the British Ministry of Defense, which closed down its UFO Sightings desk in 2009, had just released the very last of its UFO files into the public domain. You can read the files here. One would expect that the well-known UFO proponents, who have been yammering about "UFO disclosure" for years, would be delighted. If so, one would be wrong. Nick Pope is very upset, and so are many others. The Ministry of Defence official who once headed investigations into unidentified flying objects believes he was abducted by aliens. Nick Pope, who ran the ministry's top secret Airstaff Secretariat office during the early 1990s, believes that he, his girlfriend and their car were abducted from a deserted toll road in Florida. He has described how he was lifted aboard an alien spacecraft and then wandered around its corridors - without, however, meeting any aliens. The next speaker was Nick Pope, who supposedly ran "the British Government's UFO Project," although in reality he didn't run anything, and worked part-time on the UFO Project from 1991 to 1994. He began his talk on the defensive, emphasizing that he did not actually predict an alien invasion, as many news stories and blogs reported last summer. I was, he said, merely promoting a space war type of video game, and reporters took my comments out of context. I wrote a Blog entry about this last August 22. Comments like, "The government must - and has planned - for the worst-case scenario: alien attack and alien invasion. Space shuttles, lasers and directed-energy weapons are all committed via the Alien Invasion War Plan to defence against any alien ships in orbit." Sorry Nick, that excuse doesn't work, as anyone can tell if they Google "Nick Pope Alien Invasion," which also brings up a story from October 12, 2012, "Britain has alien-war weapons, says former government adviser," and even "Aliens Could Attack at Any Time" from 2006. Stop trying to fool us, Nick, and admit you said these things. One of the UFO documents recently released by the UK MoD. When my name was included on a list prepared by NASA of people who might have information on UFOs (since they did not), I used to receive dozens of letters like this from school children requesting information. I would usually reply with just a page or two of skeptical materials, but I suppose that was not what they wanted to receive. Dr David Clarke, according to The Telegraph, "has been the National Archives 'UFO consultant' for five year project, during which it has made public more than 52,000 pages of official government files relating to mysterious sightings." 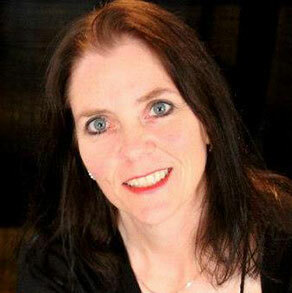 Clarke is a former reporter and currently course leader and senior lecturer in journalism at Sheffield Hallam University teaching media law and investigation skills. His Ph.D is in Folklore from the National Centre for English Cultural Tradition, University of Sheffield. Since 2008 he has been working with The National Archives (TNA) as their consultant for the ongoing release of the UFO files created by Britain's Ministry of Defence. from 2000 onwards my FOI campaign made me a thorn in the side of the MoD to the extent that after seven years of constant pressure they relented and decided to transfer all surviving UFO papers to The National Archives. But instead of hailing the disclosure as a breakthrough, conspiracy nuts have portrayed it as a cover-up because the documents do not provide any support for their beliefs. 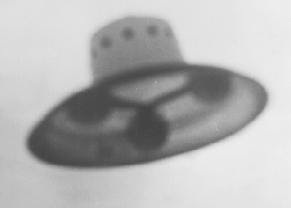 A claim by the British Ministry of Defence that UFOs have no defense significance is "designed solely to keep Parliament, the media and the public off our backs," according to former MoD UFO Desk administrator Nick Pope.... Official MoD spokesmen and one self-styled UFO expert, David Clarke, claim that the MoD found no evidence of a UFO threat to the UK and, therefore, closed its UFO Desk....Regarding David Clarke, Pope says, "Some people would probably use the term 'useful idiot' to describe his parroting the MoD 'no defense significance' sound bite." Highly relevant to this discussion is my research into Sheaffer’s affiliation with the Committee for Skeptical Inquiry (CSI) which was previously named The Committee for the Scientific Investigation of Claims of the Paranormal (CSICOP). 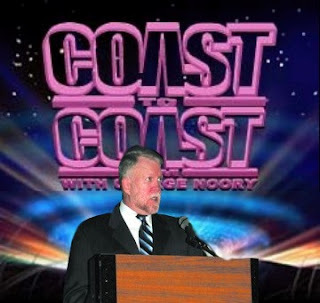 As journalist Terry Hansen has argued in The Missing Times, the historical role of CSICOP (now CSI) strongly suggests it has been performing as an intelligence community “front organization”—pumping anti-UFO propaganda into the media without revealing its true source or motivation. Well-known “skeptic” Robert Sheaffer’s performance in Secret History of UFOs, the National Geographic network’s latest debunking-disguised-as-documentary, begs the question: At what point does the systematic presentation of half-truths and outright falsehoods about the UFO phenomenon cross the line from incompetent scholarship to intentional disinformation? As I noted in my last article, given the extremely biased and propagandistic treatment of the UFO subject one consistently finds on Nat Geo, it might reasonably be argued that the network has been working behind the scenes with the CIA to debunk the phenomenon. it appears that what the MoD has been engaging in is the selective declassification of UFO-related files, whereby low-level, generally mundane documents are released with much media fanfare, while very sensitive files continue to be withheld from public view. The practice is commonly called “spin”. The purpose of this propaganda tactic is to alter the actual story of official interest in the UFO phenomenon, so that it appears as if there exists only minimal concern or none at all. 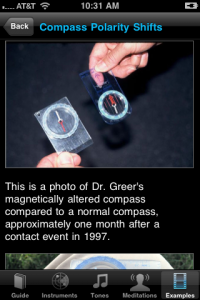 Hastings' primary evidence seems to be tired old, long-refuted claims concerning the UK Rendlesham Forest 'UFO landing' in 1980. Within the next 18 months the Ministry of Defence will complete their disclosure programme of UFO-related documents. But some UFOlogists continue to demand they “come clean on all levels”. They believe there are more secret documents being held back that contain evidence of alien visitations. I can reveal the only documents MoD intends to permanently conceal from the public concern their secret dealings not with aliens, but with a former member of their own staff – Nick Pope. “…far from accurately representing the Department’s position [on UFOs], he [Nick Pope] has sought to embellish the truth at almost every turn.” (from a document prepared by one of Pope's line managers in 2000-2001, DEFE 24/2019, released into the National Archives in 2011). End the UFO Coverup, Nick, and release the files! There is a very interesting 2009 article in Tim Printy's Sun-Lite about Pope by someone calling himself "Col. Arnold Moulder" (but is probably Colonel Mustard, with the candlestick, in the library). It describes Pope's efforts to hide these documents, and gives numerous other examples of Pope playing fast and loose with facts. UFO Hoaxes? There's an App for That! Anyone who follows news stories about UFOs knows that there are a heck of a lot of them these days, and that many if not most of them involve alleged photographs of UFOs. Frank Warren of the UFO Chronicles has just written an eye-opening article, UFO Hoaxes with the Touch of a Finger. Warren is well-known as a UFO proponent, but he is no friend to hoaxers. 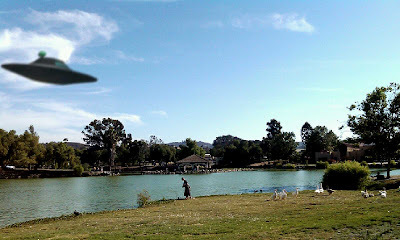 I knew that it was possible to create all manner of digital UFOs in photographs. What I did not realize was how easy it has become. 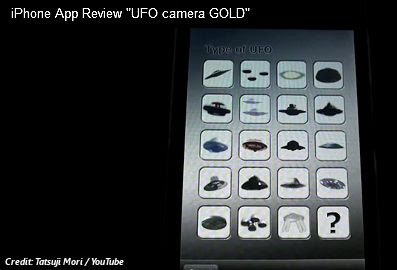 He gives two examples of credulous UFO news stories that have been written about fakes made with Apps just like these. Here is a UFO I added to a photo I took of a lake, created using UFO Revelator on my Android phone. Why it is out of focus, I don't know. 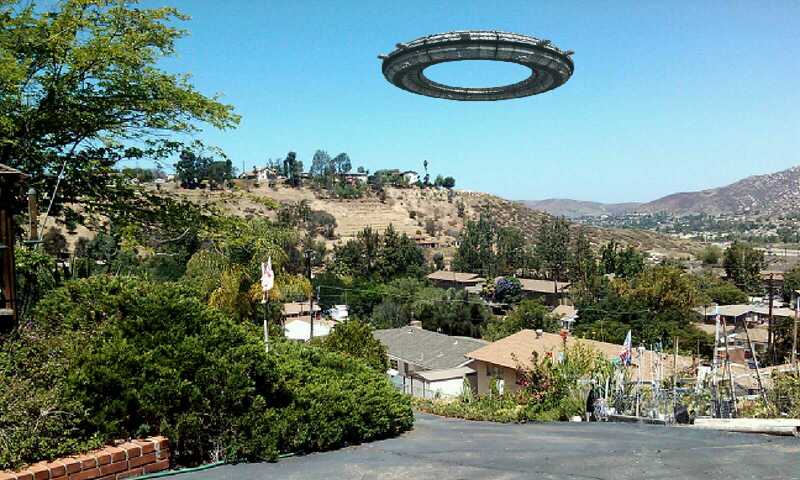 Here is another photo showing a UFO flying over my yard. It looks quite similar to the "drone UFO" photos that were all the rage a few years back. These are not great-quality fakes. As Warren says, "For most seasoned Ufologists the hoaxed photos are blatantly obvious; unfortunately, that minority won’t stop the MSM [MainStream Media] from paying heed to the latest hokum produced." Unfortunately, he is quite correct: it seems that some of the most credulous people around are reporters, who are supposed to be skeptical by their profession. I suspect that the cynical pursuit of sensationalism and ratings is really what is behind that. What all this means is that it is now trivially easy for just about anyone to produce a semi-convincing UFO photo hoax. And since "progress" in software is inevitable, we can expect to see better and better UFO hoax photos with each passing year. 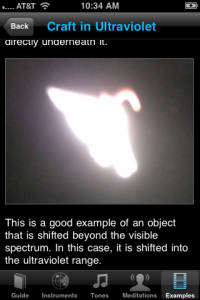 Which means: unless you can absolutely confirm a photo's origin, and confirm that it was not simply added using hoaxing software, you can't believe anything that you see in a supposed UFO photo any longer. * Official training materials authored by Steven M. Greer, M.D. * Well-organized instructional manual with over two hours of audio tutorials and guided meditations by Dr. Greer. * Working scientific instruments including a magnetometer and compass for detecting anomalous activity. * Includes Images, sounds, and written descriptions of prior contact events. Susan Gerbic is becoming well-known in the skeptical world as the inventor and leader of Guerilla Skepticism - a grass-roots project to help reach the public with the skeptic's message. Much of this effort involves creating Wikipedia pages for important skeptics who don't have one, and to update and correct those pages that already exist. After all, Susan reminds us that Wikipedia is "the fifth most popular Internet site in the world," so it's an extremely important source of information for large numbers of people. Far from the free-for-all image that some people may have, Wikipedia has now become a tightly-regulated and highly-reliable source of information on nearly any subject of inquiry. Citations are required, and the rights to images and such are scrupulously recorded. Controls are especially tight on Wikipedia articles that are deemed controversial. Actually, I participated in a "Guerilla Encyclopedia Update"of my own, back in the late 1970s. The Doubleday Encyclopedia of UFOs (Garden City, NY, 1980) was edited by Ronald D. Story, assisted by the late J. Richard Greenwell. Story is a "skeptical believer" in UFOs, and Greenwell was well-known as a UFOlogist and cryptozoologist (who, as I note in Psychic Vibrations, joined a scientific expedition to the South Pacific to search for mermaids). Story had sent me a review copy - I don't recall if it was the complete volume, or just certain articles (probably the latter). I replied to him that, in many cases, he was telling only half the story, and that "the rest of the story" was needed to provide a balanced picture. I offered to provide some of this balance. To my surprise, he and his editors agreed. So for a number of major UFO cases in this Encyclopedia, including "Hill Abduction," "Delphos (Kansas) Landing," and a number of others, the main article is followed by a "Postscript," attributed to me. 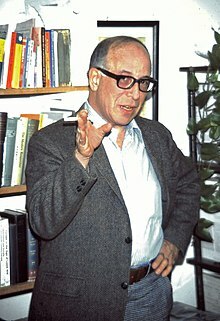 Philip J. Klass (1919-2005) was the most influential and consequential UFO skeptic of all time. He battled the UFO believers in scientific organizations like the AAAS and AIAA who wanted to bring UFOs into the mainstream of science - and won. I won't bother listing his background, his credentials, his career and accomplishments - that's all now on Klass' Wikipedia page. It's quite long, and highly detailed, ably written and edited by Susan Gerbic and Shane Vaughn. Missing sources were filled in, unsubstantiated material was removed, and a great deal of new material was added. As someone who knew Klass quite well, I am impressed by its accuracy and completeness. I certainly learned things I didn't know about Klass. This is just one example of what a talented team can accomplish. Here is Susan's write-up of their accomplishments. Susan and I will both be at TAM in Las Vegas, The Amazing Meeting sponsored by the James Randi Educational Foundation, July 11-14. We will be presenting at one of the workshops, Preserving Skeptic History. I hope you can make it to TAM. It's going to be awesome. Anyone who is interested in joining the Wikipedia project is encouraged to contact Susan for more information.